DrivePop is a cloud backup service for one to many PC's and Macs in your network. I worked out a special limited offer with DrivePop that gives you a LIFETIME subscription for only a small up front fee. It's DrivePop's hope that you will return the favor by telling everyone that you use DrivePop. It's a limited price so don't wait. I chose the $99.99 Ultimate plan just so I don't have to worry about what PC's I've used on the service. I'm betting the Family plan is what is best for most folks. Like Crashplan and many other cloud services, this is a backup service and not a archive service. Archive services like what Amazon offers cost a TON of money. There are mobile apps for almost every platform! Windows Phone 8, Android, and even the iPhone and the iPad. Surface RT!!! Look it up I swear, there is a Surface RT APP!!! Another big selling point is the ability to stream music from the app. Upload music to the service and stream it back via mobile. I have yet to try this but it's documented in the apps. One thing you will notice about the DrivePop service is you see a lot of reference to "LiveDrive." That's because it's using the Live Drive Cloud. Just look up Live Drive and you will see they are a company that has been around a long time and not going anywhere soon! I'm pretty confident in my new cloud backup service and I think you will enjoy this price. It won't be around long though. I would expect this price to disappear sometime next week. July 18th, 2013. Act now. (if you are reading this later, I've managed to secure another great deal from Drive Pop) Click here. UPDATE: This deal has been extended until Friday, July 19th. Thanks DrivePop! That's a crazy price for 1 PC backup in my opinion. Backupthat offers it for free, and you get all of your files sent to you in your email. That way, no matter what happens, you have all of your files in your control. That's interesting. I won't say it's crazy because I think all these different cloud options appeal to everyone differently. There is not one that is perfect for everyone. I can say that yours is not for me. Since BackupThat used my GMail to backup my files in my case, I will assume there is an upsell on the backend. Please explain to me how my 6GB GMail account can backup my 600GB of local files for free? This smells of the JustCloud upsell business model. Been using them for a few weeks now. There are no upsells with this, there are only other services that you can add on if you want such as a NAS storage backup or a SYNC virtual drive. Justcloud is the king of the upsell label. If you only need cloud backup then this is a real deal. One question: On their main site I see "LiveDrive Briefcase". Not clear to me if any of these special Home Server Show offers offer the briefcase as part of the package? Doesn't appear to backup from my WHS2011 which is using StableBit drive pool. Has anyone else installed this product on WHS2011? thanks for the suggestion. where are the options for specifying this? I can't see anything on any of the available tabs. 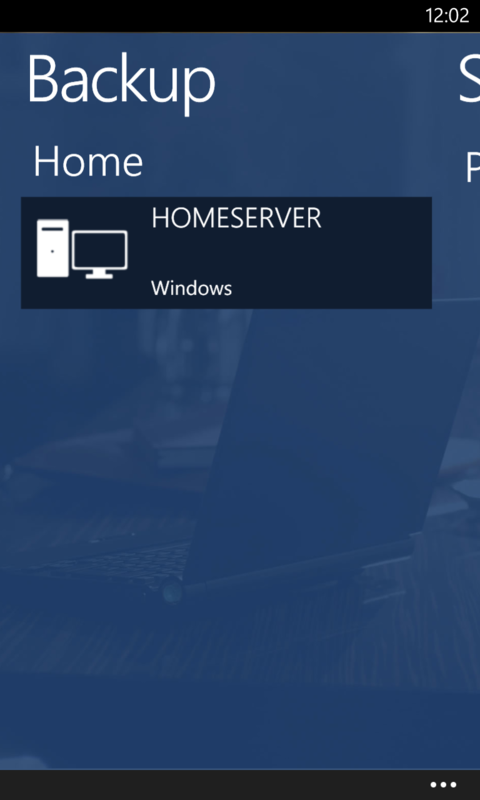 I know this is old, but wondering if you ever got drivepop to backup you home server 2011?